I mean, it's not, but there's the whole thing about Louie having to take out a line of credit to continue with it, and add that to the fact that it wasn't exactly the most well promoted series. My whole hesitance with it is I don't know when it's going to end, and when I have a backlog of stuff I can watch for $x a month on a streaming service, it's harder to justify buying anything on a per episode basis. Looking at ... $31 right now. I'm spoiled by Netflix, but I'll get to it. Oh. It ended. It's 10 episodes long. Doesn't really tell you much. If anything. Not that that matters. From Louie, you kind of know what to expect by now. That was kind of weak. But I watched his new show 2017 on Netflix this week and loved it; it was dark and weird and hilarious. Good to know it gets better. I watched the first bit earlier tonight and it wasn't a good start, really weak and repetitive. I wasn't feeling it at all so I just watched Chappelle again (still excellent). I'll give it another go. I wasn't too big on his last one either, I think that was Live At Comedy Store. Can't remember the jokes, all I can remember was that he was a bit more rotund in that one. I loved the beginning too, so you may not like the rest! But I might be positive because I was also underwhelmed by his previous show. Louie and Aziz really have cinema boners for B/W! I can't wait to see it in 2020. 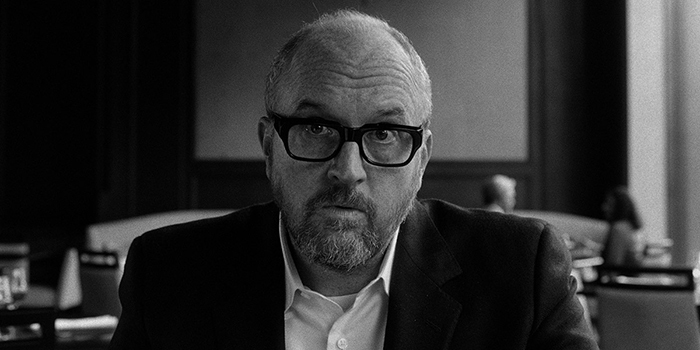 ‘I Love You Daddy’ DP on Shooting B&W 35mm, Hitchcock’s Influence on the Secret Movie, and the Discerning Eye of Louis C.K. C.K. 's longtime DP Paul Koestner: "I’m sure I’m going to roll some eyes, but if anything Louie has a more discerning eye for lens characteristics than me." Editor’s Note: Before his rise to stand-up stardom, Louis C.K. taught himself how to make 16mm short films, which he used to capture a narrative absurdity that wasn’t present in his onstage routine. 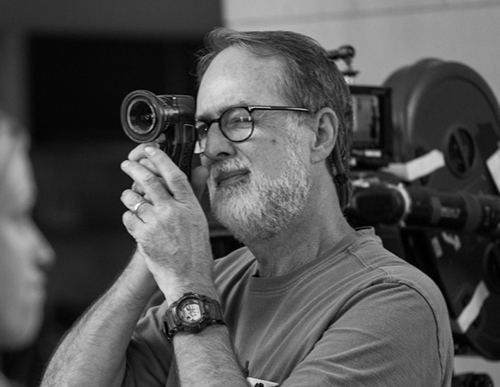 Over the years he has amassed a small loyal crew of filmmaking collaborators and has grown into a remarkably effective visual storyteller — in particular on the 61 episodes of FX’s “Louie,” which often leans more on the structure of short films than episodic television. In August it was revealed C.K. had secretly made his first feature film since his misadventures writing and directing the 2001 “Pootie Tang” — starring his close friend Chris Rock, based on one of Rock’s sketch routines — which Paramount eventually took away from the then-inexperienced and unknown director and tried to salvage in post-production. Before the veil on the secretive “I Love You Daddy” is lifted tonight at the Toronto International Film Festival, IndieWire checked in with C.K.’s long-time cinematographer Paul Koestner — a collaboration that dates back to 1990 — to find how they approached shooting the 35mm black and white feature and gain some insight into how the autodidactic director approaches his craft. When Louie first approached me about shooting this feature, he said he wanted to do it in film, specifically black and white. I’ve had limited experience in 35mm over the years, certainly less so with black and white, so had some learning to do. As a result I went to a family I’ve known since film school, the Sheitingers over at TCS [New York rental house]. In my mind, Erik and Oliver are the go-to folks when it comes to Arriflex film, and they seemed tickled to dust off some of their “classic” equipment to handle what was at least partially an experiment in replicating a look from the past. Louie, as I’ve often pointed out, is a self-taught filmmaker and he knows his craft. He’s always been partial to the use of prime lenses, and over time he’s amassed an impressive assortment of glass, which includes the Summicrons and Ultra Primes. In addition we carried his Angenieux 25-250, a somewhat hefty lens that gave us our longest focal length. I’m sure I’m going to roll some eyes, but if anything Louie has a more discerning eye for lens characteristics than me, or maybe it’s just a confession that I’ve never done what I consider appropriate side-by-side testing to see the subtle differences between the extensive array of modern glass out there these days. Notwithstanding the countless conversations traded over lens attributes, when I view any of my past projects I typically can’t tell what lens type was in use. Particularly when considering that in our case color was not an issue, my concerns were a bit more practical. As always, factors include availability, affordability, efficiency and compatibility. Louie self-financed this venture, and while he doesn’t own a 35mm film package, he does have plenty of optics, so it made sense to use what he had. My first concern was lens speed. I’ve become quite comfortable in the world of digital photography, with its current 800 ISO paradigm. A two-stop loss (5222, presently Kodak’s only B&W negative in production, is rated 200 in tungsten light) was a renewed challenge, particularly on a small project with a tight schedule. At T2, the chosen sets (Summicrons and Ultra Primes) are Louie’s fastest, and we basically used them interchangeably, focal length being the deciding factor on any set-up. In fact a few times we rented out a couple Master Primes during practical night locations to grab one more stop. Let’s see if anybody can tell the difference. Because black and white film stock is an inherently thinner emulsion than color, we were forewarned to be concerned about light kick-back off a silvered pressure plate, and so we did some testing (as I was previously engaged on the West Coast on another of Louie’s productions, Pamela Adlon’s “Better Things,” credit for prepping and testing should go to my extremely able AC, Cory Stambler, as well as Louie himself). We decided that were we to encounter highlights at the right kind of intensity and angle, we might encounter some undesired artifacts. As a result, where a three perf pulldown would have been preferable from a practical, economic perspective, we made the painful decision (for me, anyway) to shoot four perf, as that was the only mechanism available with a blackened pressure plate. With more time, testing and technology, I hope I would’ve seen fit to have blackened pressure plates manufactured for three perf. Being something of an intuitive filmmaker, Louie traditionally has little to say to me about stylistic choices beforehand. In this case, however, he advised me to watch a batch of older films, with a particular emphasis on some of Hitchcock’s works. There’s no need for me to add to the general knowledge about the way cinematographers did things back then, but I will say that Louie certainly didn’t lock himself into any particular mode of operation. While we did choose to employ many techniques used either out of preference or necessity in the “old days,” he didn’t seem philosophically averse to breaking the rules to get the desired effect, or the job done. I Love You Daddy premiered at the 2017 Toronto International Film Festival.